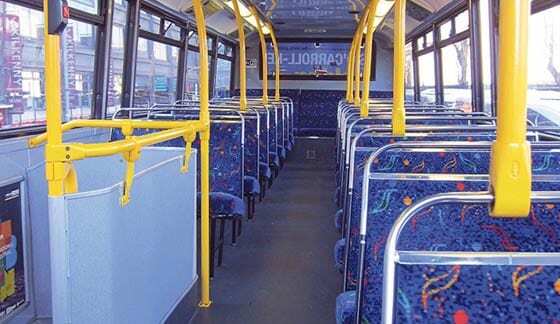 The National Transport Authority has confirmed that Dublin Bus routes in Dublin 15 being put out to tender will still be regulated by the authority. The comments come amid concerns that the 17a Blanchardstown Centre to Kilbarrack; 76a Blanchardstown Centre to Tallaght (The Square); 236 Blanchardstown Centre to Damastown; 238 Tyrrelstown to Lady’s Well Road; 239 Blanchardstown Centre to Liffey Valley Shopping Centre and 270 Blanchardstown Centre to Dunboyne; have been put out to competitive tender. On the back of the Public Transport Act (2009), which seeks to adhere to EU requirements of a distance between central government and the regulator of public transport, the NTA decided in December 2013, that 10% of the services renewed in PSO (public service obligation) contracts with Dublin Bus covering the period up to December 2019, would be put out to competitive tender, to commence operations in 2016. The routes have been advertised and the tender competition closes on April 17. Cllr David McGuinness (FF) reacted angrily to the initial tendering announcement, saying that this list primarily affects some of the poorest people in Dublin. He said: “Bus routes have been drastically altered over recent years. Policy has led to more cross city routes and away from localised services. However, the last remnants of a localised bus service are being eroded before our eyes. “Residents who use this service need it for work, for travelling to local services and many have no other means to travel around the suburb. However, the NTA has confirmed that: “The contracts will specify the hours of operation and level of service to be provided on each route and contractual requirements in each case will be set to meet or exceed the current requirements for the services. “Fares for the tendered services will continue to be regulated by the authority, and will be set in a manner consistent with other regulated fares. It is anticipated that operation of bus services by the successful tenderers will commence in late 2016 or early 2017. A spokesperson from Dublin Bus confirmed to the Gazette that it has entered the tendering competition and is seeking the contracts.